Whether you're planning to sell your home at some point, or you simply want to save money on utility bills. New energy efficient windows can do the job. From upgrading your window frames to repairing broken glass, nearly any type of window care and repair will improve the situation. Modernize is here for you if window replacement is in your future and you are wanting to find replacement windows in Rockford, IL. Our reliable contractors can help you fix any problems you're having with your home's windows. You can enjoy a more energy efficient home by upgrading, repairing, or restoring your windows today! We love helping homeowners find the best contractors in their area. Look through our list of trusted window installers today! Get free quotes from the best window replacement contractors in Rockford, IL, ready to complete your project. Choosing to upgrade your property in Rockford with replacement windows is an important investment. There are several considerations involved to ensure you get your money’s worth, proper installation, and any incentives being offered by the city, state, or government for making property improvements. One of the first steps when choosing new windows from a retail window store or home improvement center is looking for windows that can handle the climate deviations of your location. Since Rockford experiences moderate spring and summer temperatures and the potential for extremely low temperatures during the winter, you’ll need windows that work well under both sets of conditions. The types of windows available in Rockford are numerous. Three of the most often requested by Rockford property owners are double hung windows with wood and vinyl window frames. With the double hung style, the windows slide upwards and both can be opened. The windows also tilt in for easy cleaning. Single hung windows are also an option. Vinyl windows are durable, require low maintenance, and are reasonably priced. Solid wood windows are sought after for their visual appeal. Other types include casement, awning, bay, egress, double pane windows and triple pane windows. You can also choose glazing or tinting of the panes for added energy efficiency for home windows. With either coating, the interior comfort level of your property is raised, utility bills will be reduced, and the property’s heating and cooling system won’t need to work as hard to keep temperatures regulated. Regardless of the type of new windows you choose, it can be costly. When planning a budget for new windows, you may have access to incentives, loans, grants, and tax credits available in the State of Illinois to help with the purchase. The federal government also offers a tax rebate when purchasing Energy Star energy efficient windows. Use the handy rebate and special offer tool at Energy Star for additional resources. There are several options to find qualified window installers in Rockford. Word-of-mouth – if you know someone who has had new windows installed, ask them about the contractor for their first-hand experience and possible recommendation. Home improvement centers – if purchasing new windows from a retail center, chances are, the company has licensed contractors on staff or under contract. 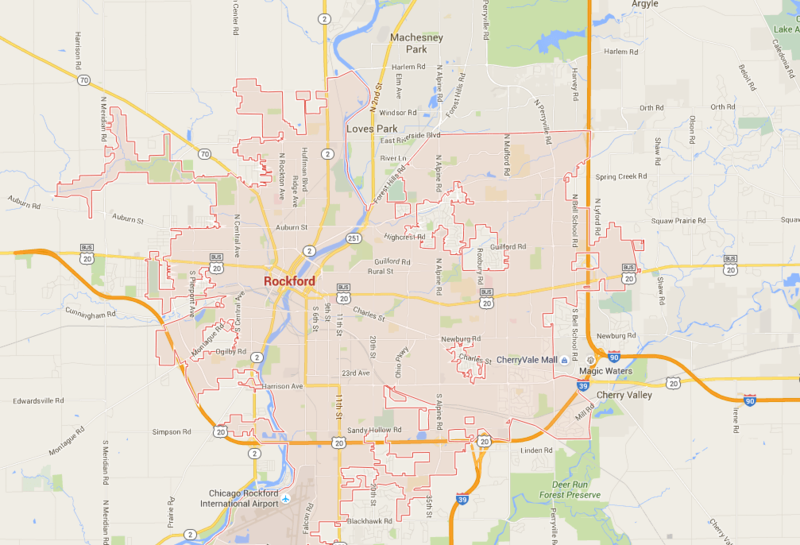 Private contractors – use available online listings for window installers in Rockford. Make a short list of potential candidates then call to schedule a property visit. Request an estimate from each listing all the charges and have it signed and dated. Ensure the contractor has a current license and is insured. The Better Business Bureau is a legitimate resource to determine if the contractor has any outstanding complaints filed against the company. The City of Rockford has a long list of requirements for building codes, neighborhood standards that includes information about windows, and which types of projects require a permit. This includes replacement of windows when certain conditions apply. To find out if you need a permit, contact the City of Rockford by mail at 425 E. State Street, Rockford, 61104, or call 779-348-7300. Failure to acquire a permit prior to installation of new windows that are not exempt will result in a fine. Even though a new window project is a big investment, your property will reap the rewards of quality panes, frames and coatings. With the right frames and window style installed, the result is a new freshness to the overall appeal of the exterior of your property. A second ROI is the fact new windows will lower your monthly utility costs. This is a savings you’ll receive each month, year after year.